Spend more time with your full service restaurant guests and less time working on employee scheduling. While you’re at it, why not also reduce your labor costs, and streamline your team’s communication? Start your free 7shifts trial today! Trusted by 250,000+ restaurant pros. Full service restaurants using 7shifts spend 80% less time on staff, reduce their labor costs up to 3%, and improve their staff retention. Ditch your excel spreadsheets and templates. 7shifts works like the tools you've used, but it never breaks. Create and publish your schedule in minutes, not hours. Approve staff requests from anywhere with free mobile apps. "Great product with even better customer service, the team is always on the ball and happy to help"
"7shifts makes it easy to schedule across all departments-particularly helpful as our staff is very cross trained and it is easy to schedule them for different types of shifts." 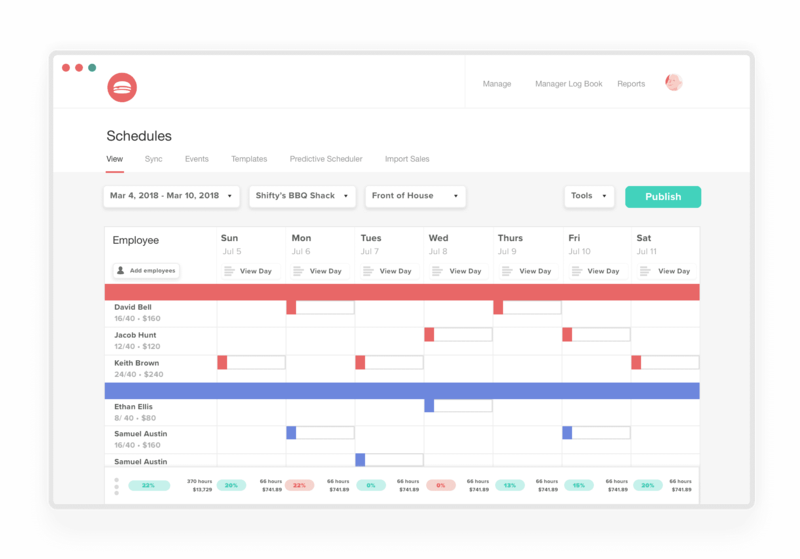 "The communication of shift changes and alerts as well as the ease of doing the schedule with the drag & drop feature, love the punch clock, especially showing the schedule vs actual." "All staff are impressed with the software. Especially since you can download the app on Android phones or Iphones. It is very user friendly. I'm never going back to excel spreadsheets." 7shifts restaurant scheduling software makes it easy for full-service restaurants to build & manage their employee schedule, communicate with the team, and better manage labor costs. Put pen and paper in the past with 7shifts’ robust restaurant scheduling software, time-clocking, advanced reporting, and more. 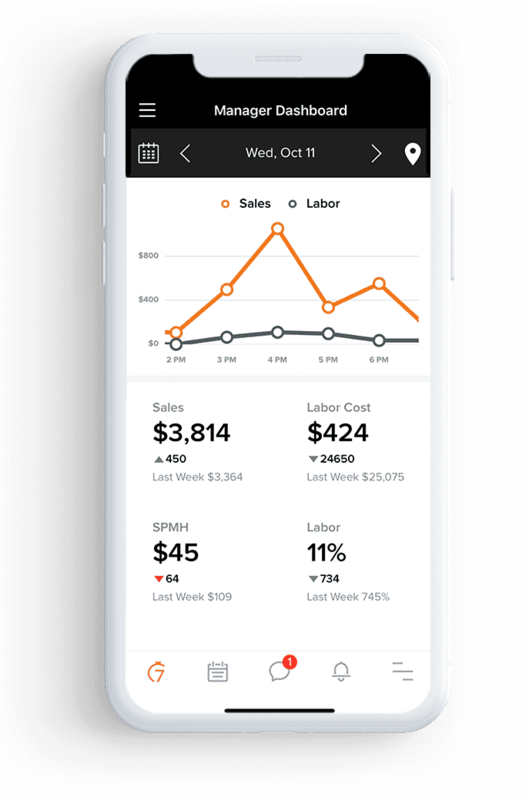 Use the free mobile app to improve manager productivity and empower employees with shift swapping, availability management, and time-off requests – all from their smartphones. 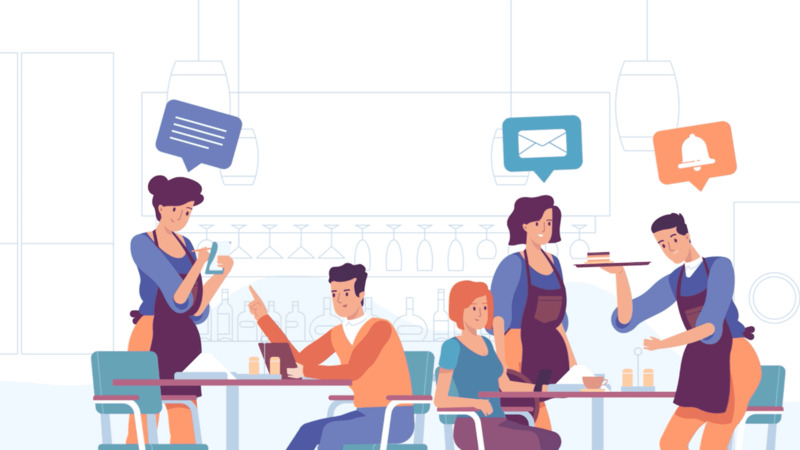 With 7shifts, you’ll spend 80% less time scheduling your staff, 70% less time dealing with calls and texts, and more time growing your restaurant. Sign up for 7shifts to ditch your excel spreadsheets and unlock the tools you need for efficiency and productivity. Start saving your full service restaurant time and money.